I saw these pretzels on a tray of catered food and thought they were the perfect little sweet treat or snack. I love the idea of using Rold Gold Honey Wheat Pretzels because they are the perfect size and add interesting flavor to this classic snack. 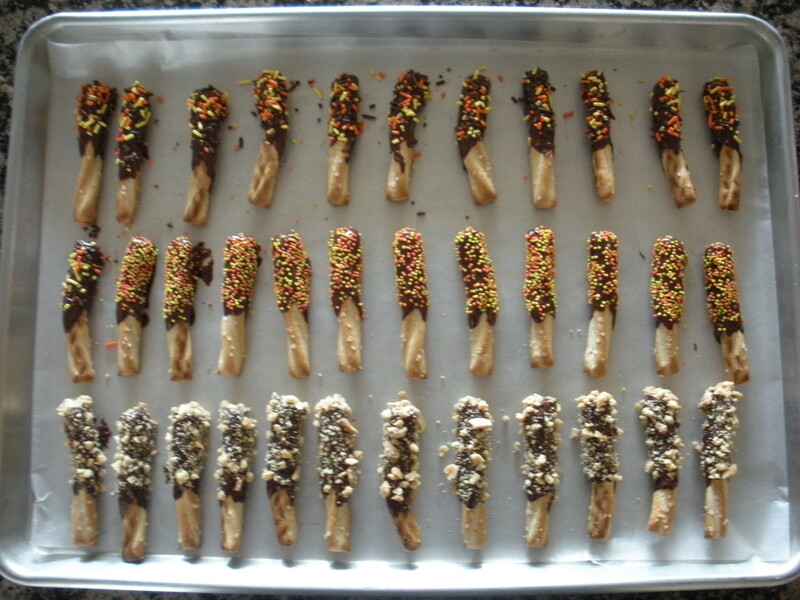 I made these to bring to a Halloween party and plan to make more around Thanksgiving and Christmas as hostess gifts. Get creative and use white chocolate and other fun toppings such as crushed candy canes. Enjoy! Place the chocolate chips in a heat proof bowl and melt on top of a pan of low simmering water*. 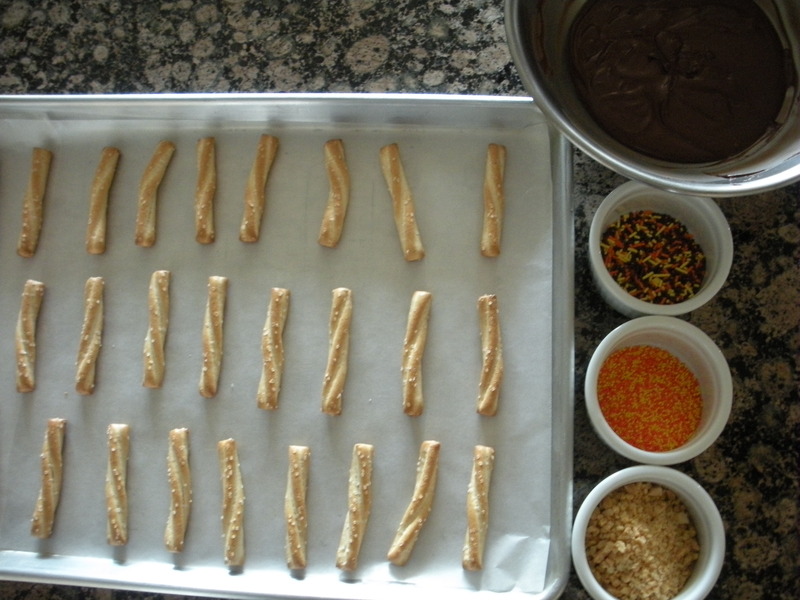 Dip the pretzels in chocolate shaking off the excess. Continue until all of the pretzels are used. Put the pan in the freezer for 10 minutes to help set the chocolate. Remove from the freezer and let sit at room temp for 1 hour before wrapping or storing. *Chocolate has a very low melting temperature and should never be heated over a direct flame. If chocolate is scorched it will seize up and form clumps and there is no fixing it. Use a pan of very low simmering water to create steam which will gently melt the chocolate. White chocolate and milk chocolate are even more sensitive than dark chocolate. For white/milk chocolate bring the water to a boil and then remove it from the heat. The residual steam will be enough to melt the chocolate.